Stop in at the area's best pawn shop today! Welcome to the best gun shop and pawn shop in town! Jimmy’s Gun & Pawn Shop is the only Glock law enforcement distributor in Destin, FL and we have Glock certified armorers on staff. New Glocks start at just $409. Jimmy's Gun & Pawn Shop Inc is here if you need extra cash or have guns you no longer wish to own! Our buyers are interested in purchasing firearms that are in good working condition. Jimmy's Gun & Pawn Shop Inc is a federally licensed firearm dealer that you can trust selling your firearm to. Make some extra spending money and stop in and sell us your gun today! We have a great selection at our gun shop! Not every gun is for everyone. We will take the time at our gun shop to size a weapon to meet your needs whether it is for recreation or personal protection. 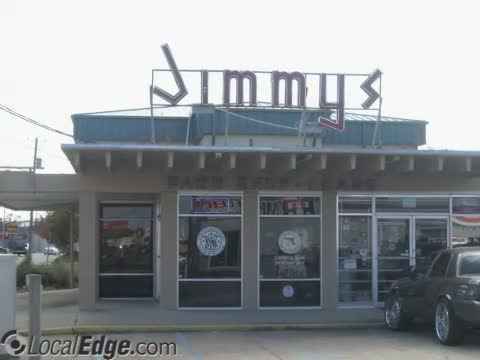 At Jimmy’s we are dedicated to providing you with exceptional customer service in a family friendly atmosphere. If you can't find the gun you're looking for we can also special order guns. We are the one stop shop for the gun enthusiast or hunter. We have a full line of ammo as well as holsters, cleaning supplies and reloading supplies available. We also sell liberty safes! We understand how important it is to keep others away from your weapons. To keep your guns and valuables secure we are a factory direct distributor of Liberty Safes. Liberty Safe is America’s number one producer of quality gun safes, fire safes and home safes. Come in and see why more than one million homeowners have bought Liberty Safes. We have a full line of Surefire flashlights. Own the best flashlight on the market. Surefire flashlights are powerful, compact, rugged and reliable. We are a Premium Benchmade dealer. Benchmade has been making the highest quality knives since 1988. Come in today and see our complete line. Jimmy’s Gun & Pawn Shop is family owned and family run. Your local gun shop in Fort Walton Beach, FL & Destin, FL. Full service pawn shop, full service gun shop, factory direct Liberty Safe dealer, Glock law enforcement distributor, rifle scopes, Surefire flashlights, Premium Benchmade dealer.